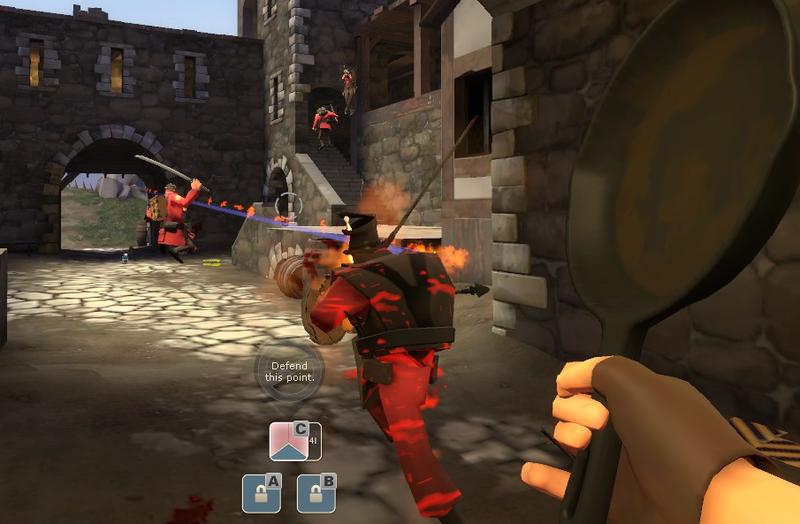 There are many, many ways to enjoy Team Fortress II. In the classic modes, you can fight over control points, deliver payloads, steal enemy intelligence, and even deliver booze to alien motherships. You can also hop into a team that decimates robots of all shapes and sizes. 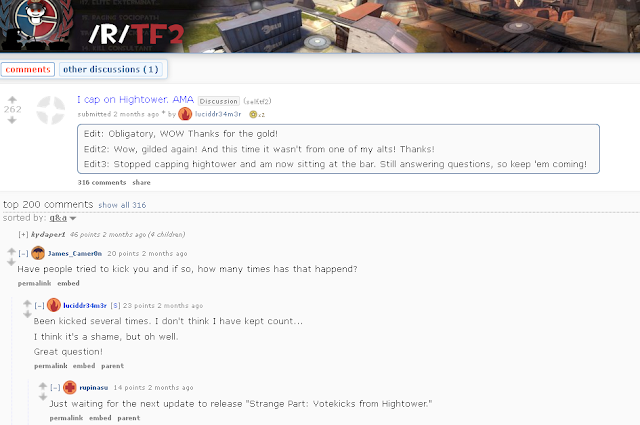 Or perhaps go into the dark unknown of community servers that run all sorts of mysterious plugins and curious maps. You can also just chill out in Asteroid to watch the world go by. Personally speaking, I enjoy lingering by the Random Quick Play screen, which means that I typically play on random Valve public servers most of the time. (That's something you might have probably guessed if you read my last articles.) There's just something about the quirkiness and randomness of the Valve pubs that just keep drawing me back like a bad drug. This also means that I have experienced all sorts of ridiculous, weird, and heart-warming things while fighting alongside random mercs in the gravel wars of Teufort. As so, here are a few things I have learned about the people, the gameplay, and the general environment of the wild yet official servers. While I cringe at remembering the sorts of shenanigans I did when I was a newb, I take joy in seeing other newbies do the exact same things that I did. I suppose it's a cruel form of nostalgia to watch them die from fall damage, use their pistol as a sniper rifle, or even go the wrong way in a payload map. Nevertheless, they're adorable, and it warms my heart to see them take on the big bad world of TF2, despite it being such an old game. They also remind me to take a second look at the little underappreciated yet artistic things in the maps. On the other side of the spectrum, because they're new to the entire game, they can be quite a force to reckon with. 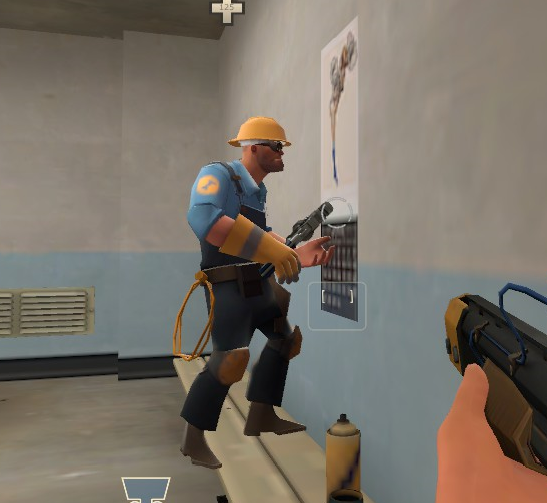 If you've played long enough, there are some things you come to expect in other players: they know how to spy check, they scope in with the sniper rifle, they know how to remove a Spy's sapper. A newbie doesn't know all those things, and they will approach the game in totally novel ways. 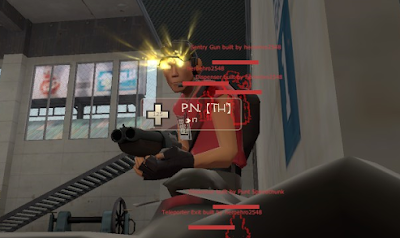 As so, you never quite know if you'll die to an oddly placed teleporter, and that newb Medic's needle gun can be quite deadly if you're not careful. Plus that M1+W can actually be a spy! The funny thing about TF2 is that everyone considers it to be a hat simulator that just happens to have some kind of shooting involved. To be fair though, you only really get hats and cosmetics if you play the game for a while, and if you've gotten the know-how on trading, crafting, or buying stuff off the store. So, essentially, if you see someone wearing cosmetics, it's a good indication that they've spent some time (and perhaps money) on this game, and would therefore probably be a good teammate. 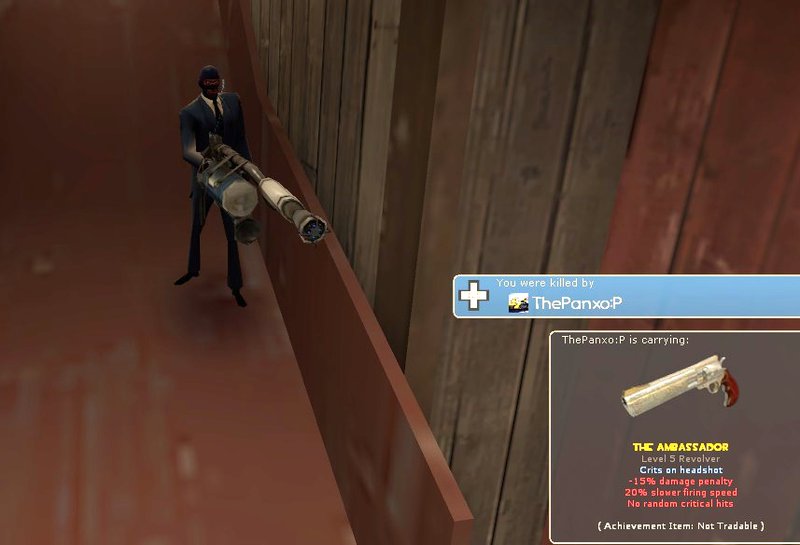 Case in point: This guy right here has cosmetics, and he just gunned down the level 3 sentry gun singlehandedly. Total pro, amirite? The interesting thing is, however, that just because a player wears hats, it does not mean that that player is the GabeN of your team. I know this personally, as I have spent a lot of time healing players of all sorts early on as a Medic. When I first started out, I'd always stick to the ones with the shiny hats or unusual effects; it just seemed right to heal the people who had on snazzier outfits than the rest. They'd lead our team to victory, no? While this may be true some of the time, it's not 100% accurate. It's not surprising for me to find Gibusvision players topping the pubs, nor am I surprised anymore if the guy with the burning Team Captain ends up with very few points at the end of the round. Heck, I have even pocketed hatless Soldiers because I saw that they were topscoring on my team. Hats may be the lifeblood of the TF2 economy, but that doesn't mean that all good players want to dress up their characters all the time. 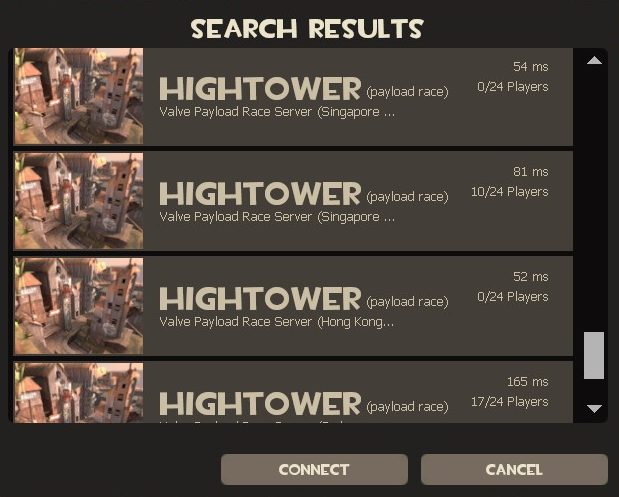 So yes, TF2 is not exactly pay-to-win. But everyone knows that Aussies and Strange Unusual Professional Killstreak Weapons are a different story. What has always amused me about the Valve pubs is the fact that teamwork hardly ever comes to play, but, for some reason, some teams just seem to rally together at some point and end up winning the match. And they don't necessarily win it because the top player got Ubered at the right time. Most of the time, they were just probably doing their own thing, and it just so happened to help their team in one way or another for them to win. Case in point: On DeGroot Keep, I always get a shock when a team actually opens up the gates to cap C. I mean, I only concentrate on lighting up my arrows and whacking people with a pan with my pinky up. As such, the different kinds of playstyles you'll see in a pub are varied, and sometimes in the most unique of ways. 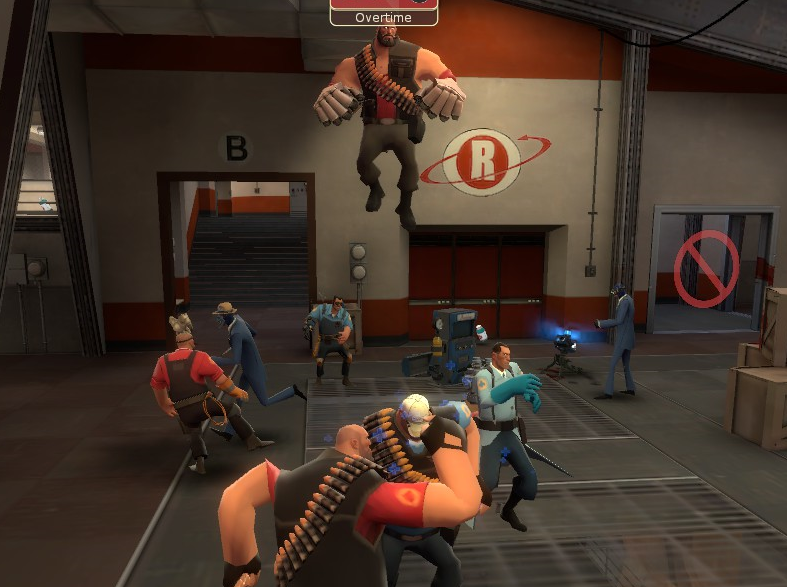 My guess is that in any given team on a pub, there will be probably be at least one of the following: the pubstomping Soldier, the lime Scout, the newb Sniper, the hacker-like Sniper, and the Sandvich Heavy/SpyCrab/BoxSpy. Oh, and a Gunslinger Engi or 2. 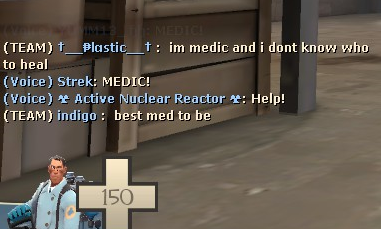 And let's not forget the newb Medic who doesn't know who to heal. Oh wait, that's me as a pub Medic on any given day. It is thus widely known that players on the official servers are usually down for a casual (i.e. not too competitive) game, and that many of them are there to experiment with different loadouts and ways to play the game. That being said, it's pretty fun to see how different kinds of playstyles mesh and work together, especially considering the many, many weapons available to *almost* any player on any given day. It's an Australian Christmas bloody miracle. 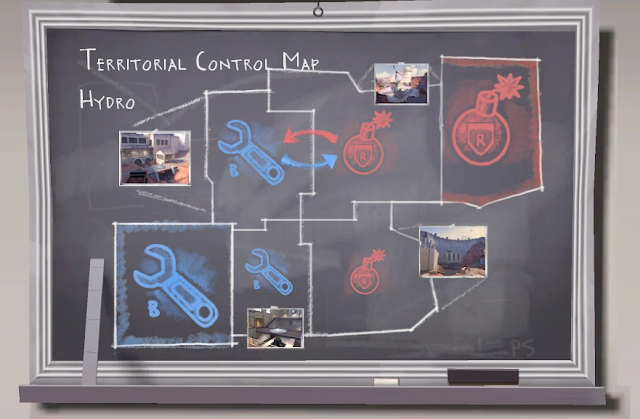 On a Valve server, before you hop into a team, you will go through several screens that will explain how the map goes, and the objective you and your team should be going for to win. When you're in-game, the Announcer will remind you of how far your team has gone to completing the mission your team has been given. 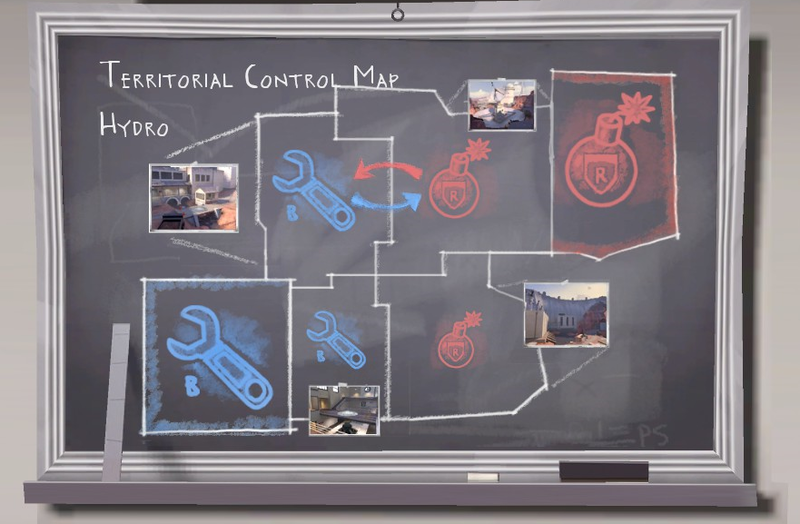 There are even little things on the HUD that will tell you about what you need to do to win: a progress bar for the payload, how many more times you need to steal the enemy intelligence, and which point you have protect/capture. Then there's this big map thing that should help you understand the dynamics of Hydro. HAHA--ha. But just because there are preset objectives you have to complete in order to hear the Announcer say "Victory" at the end of a match, it does not mean that everyone will be working to complete that mission. As mentioned previously, a pub will have a number of different characters trying out their own thing, so winning for them may not exactly coincide with completing the objective. Because sometimes you just gotta plant yourself on that there point, mister. Some players will work for the objective. Others will only work on ranking up their stranges. Some will try to find broken spots in the map to use to their advantage. A few will crouch around the map, being a health dispenser to the enemy team. This simply means that for other people, winning does not coincide with capping all the points or pushing the payload to last. And that's ok. After all, it's a public server, and every type of gamer on the Bartle Test is pretty well-represented here, and they'll have fun in whatever means they think is proper. 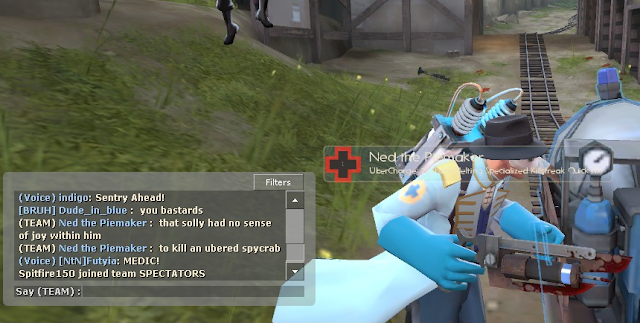 Even the Ubered endangered Spycrabs deserve a place in this world, Solly. ... Unless, of course, you're a capper on Hightower. Then FU. One thing I love about the vast wilderness of the pubs is that I know I'm bound to find someone who plays just the way I do, whether I failstab as the best noob-Spy ever or Bonk Medic like a pro. Even if I don't though, I know that I'm bound to find a kindred soul or two who would understand my playstyle, and even encourage and join me in completing my own set of objectives. You start with a sandvich, and then you'll soon have two. 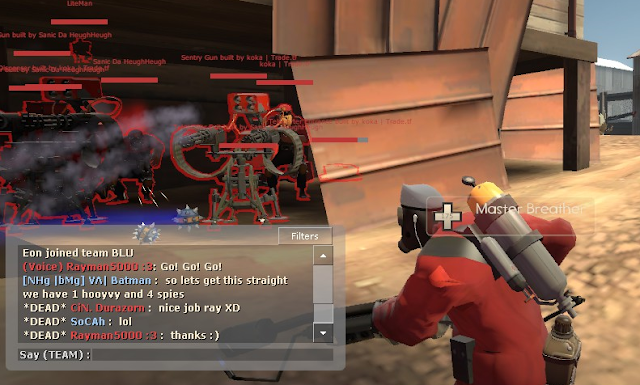 Then you infect the others with a Conga, kick the tryhards, and essentially take over the server. Beautiful. And, of course, past the squeakers and the music-blaring DJ-wannabes, there are also a few souls who use the voice chat to connect with other players too, and not just to work for the objective. I've heard of chill conversations over Rick and Morty on the voice comms, and have marveled over the simple conversations about the lives of people in other countries. Sure, there's a sprinkle of salt here and there, but people do use the voice chat to earnestly talk to other players and make connections as a result. Or maybe just show off their musical talents. Not a bad thing, mind you. Love them or hate them, they're there to stay in the Valve servers. And there's nothing we can do about that. Yes, we all know the feeling. The Valve pubs are a mix of all sorts of creatures, and I love every single one of them. It's just fascinating to see the kinds of interactions and gameplay that can almost only be seen on the official servers, and I don't think I'll ever get tired of hopping into Quick Play and immersing myself in the wildlife there. It's quite like a box of chocolates, and you honestly don't know what you're going to get sometimes. Sometimes you even get a shiny box from the box. That said, I also love knowing that I'm *almost* always in for a good time on the pubs, whether it's a nearly empty 5-Gorge map or a buzzing 2Fort map. 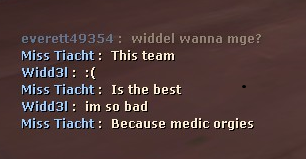 It's just fun to play alongside different people, and to do a different kind of people watching, especially when I play Medic. Hey, do you play in the Valve pubs too? What do you think of my list, and what do you think I left out? Let me know, and maybe we can go pubbing together sometime. See ya!